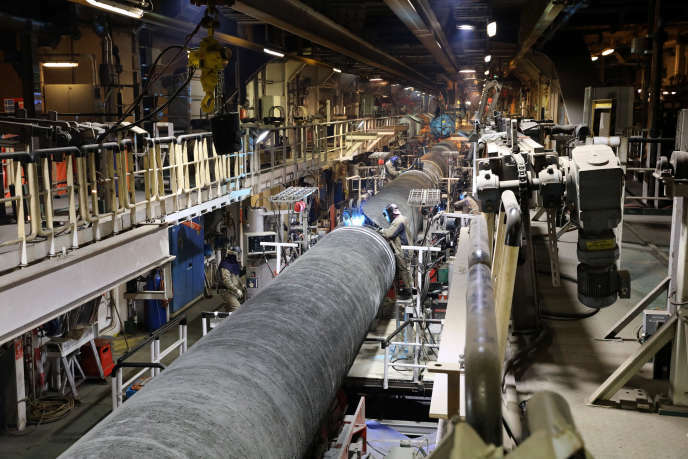 The agreement reached between Paris and Berlin frames the gas pipeline that will connect Russia to Germany, but should not hinder the realization of the project. And, in the end, is Germany still winning? The subject had been on the table of the European Council for many months. Friday, February 8, the European states have finally reached an agreement, through a Franco-German compromise rather favorable in Berlin, for a revision of the European gas directive, whose true purpose is Nord Stream 2. The pipeline, due to start operating in 2020 - work has already begun in the Baltic Sea - is creating a lively debate within the European Union (EU). It must connect Russia directly to Germany, crossing the territorial waters of five countries. The project, worth $ 9.5 billion (8.4 billion euros), combines the Russian giant Gazprom, the majority, to several European companies. Its supporters, including Germany and Austria, believe that it is necessary for the supply of Europe. His opponents - Poland and the Baltic states, but also the President of the European Commission, Jean-Claude Juncker - are concerned about the strong dependence of Russian gas on Russia and denounce the risk of depriving Ukraine's gas transportation revenue. The United States is also campaigning against the project to promote US gas deliveries to the Old Continent. In order to better regulate this type of gas pipeline, the Commission proposed at the end of 2017 to revise the Gas Directive. Its text states that pipelines from third countries must be subject to EU rules. These require price transparency, third-party access to infrastructure and the separation of activities between gas suppliers and infrastructure managers. This last point represents a serious threat for Gazprom. The document also obliges states wishing to enter into negotiations with a third country to notify their intention to the Commission. This line was supported by the countries opposing the pipeline, starting with Poland and the Baltic countries. For them, the approach was in itself a way to hinder Nord Stream 2. Germany, particularly hostile to the text, has multiplied the arguments to drag the length of the discussions in the European Council. Romania, which holds the rotating EU presidency from 1 January to 30 June, has decided to shake up the agenda and submit the text to vote in capitals last Friday.